1. Preheat oven to 375 degreess Fahrenheit. 2. 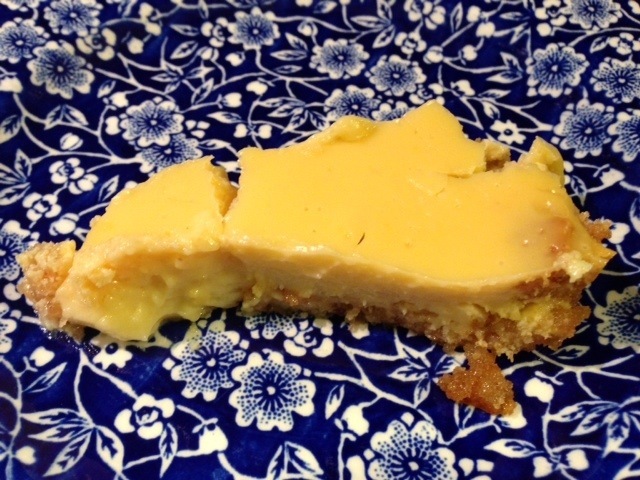 Combine egg yolks, condensed milk, and line juice. Mix well and pour into your crust. 3. 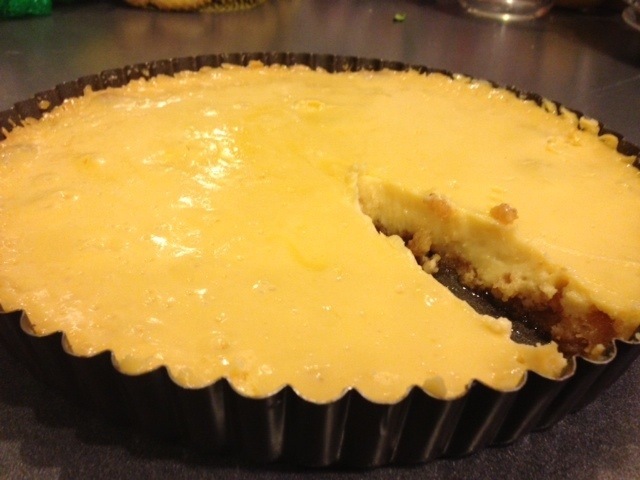 Bake for 15 minutes, allow to cool, top with whipped garnish and like slices if desired. It’s that easy. Here are my changes. 1 cup of key lime juice. Same directions and this worked out perfectly. I highly recommend this, sorry my post is a little late by the way. Well, yesterday was Father’s Day! Happy belated Father’s Day to all Fathers. 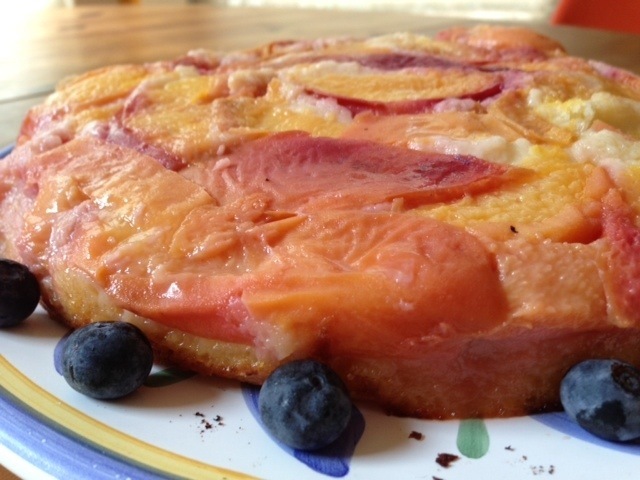 My dad had been looking at a recipe with peaches and blueberries. 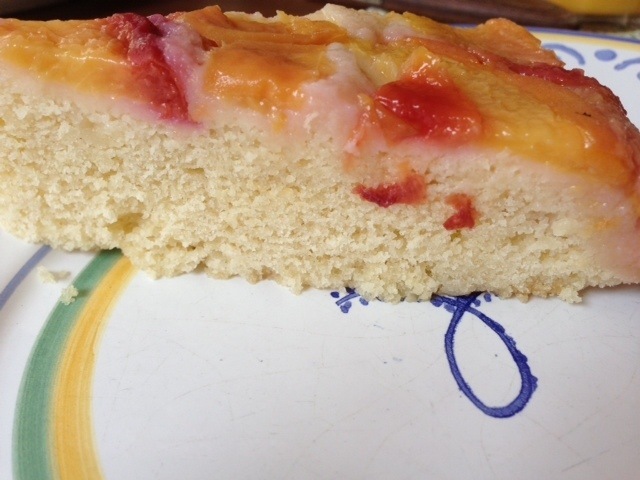 So I decided to make a vanilla cake with a top layer of peaches. 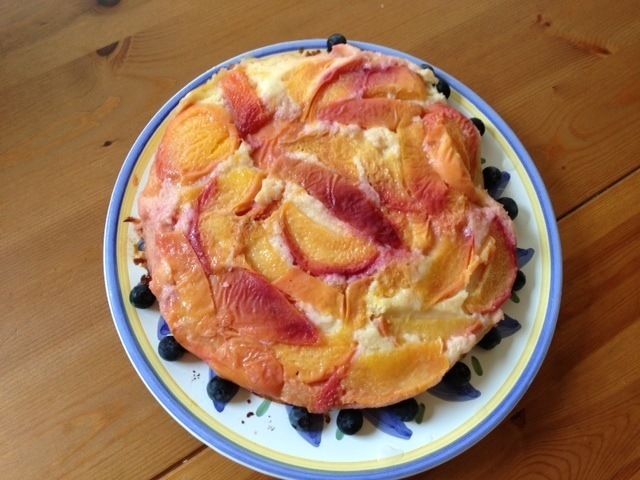 I took three peaches and sliced them, then put them on the bottom of the cake pan. 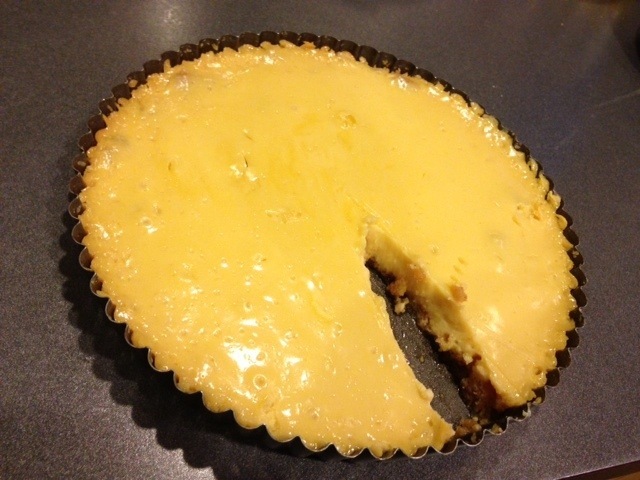 Thanks to: http://m.allrecipes.com/recipe/17481/simple-white-cake for the recipe. 1. Preheat over to 350 degrees. Grease the cake pan or cupcake tins. 2. Cream together the sugar and butter. Beat in eggs, one at a time. Then, mix in the vanilla. Combine flour and baking powder to the mixture and mix well. Finally, pour the milk into the mixture and mix until smooth. Pour or spoon batter into the prepared pan. 3. Bake the cake for 30-40 minutes. I got my inspiration for this from an end of school event. They had snacks that resembled the ones I tried to recreate. Heat the oven to 400 degrees F. Lightly coat an 8-inch cake pan with butter and dust with all-purpose flour. Sift the cake flour, baking powder, and salt into a large mixing bowl. Beat in the butter one heaping 1/4 teaspoonful at a time, using an electric mixer set on low speed, until the mixture resembles coarse sand. 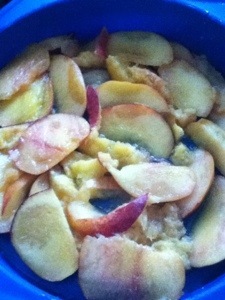 Beat in the sugar a tablespoon at a time, until the mixture resembles fine damp sand. Beat in the eggs one at a time. Add the vanilla and milk, and beat on medium-high, just until blended. Do not overbeat. Pour into the prepared pan and bake until a wooden skewer inserted in the center comes out clean — 30 to 35 minutes. Cool cake in the pan on a wire rack for 5 minutes. 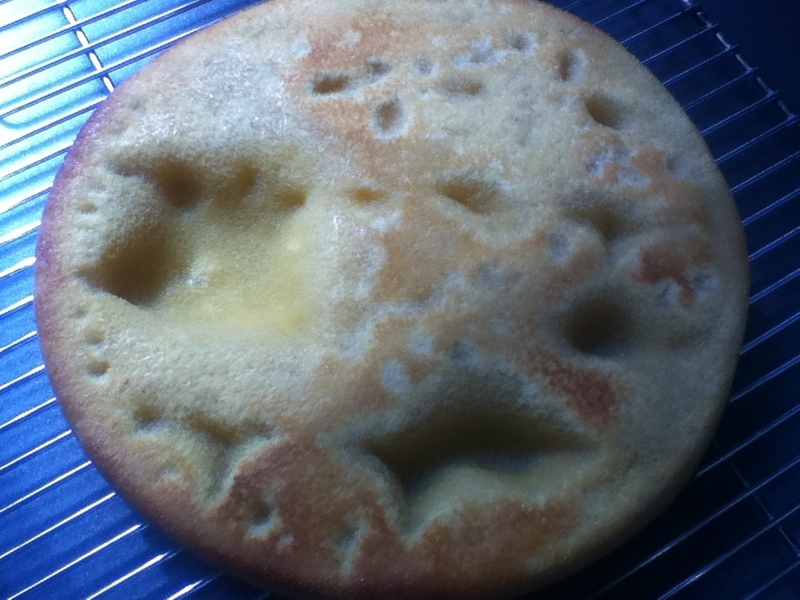 When I had finished my cake, I immediately thought of the moon, because it had some holes that looked like craters. 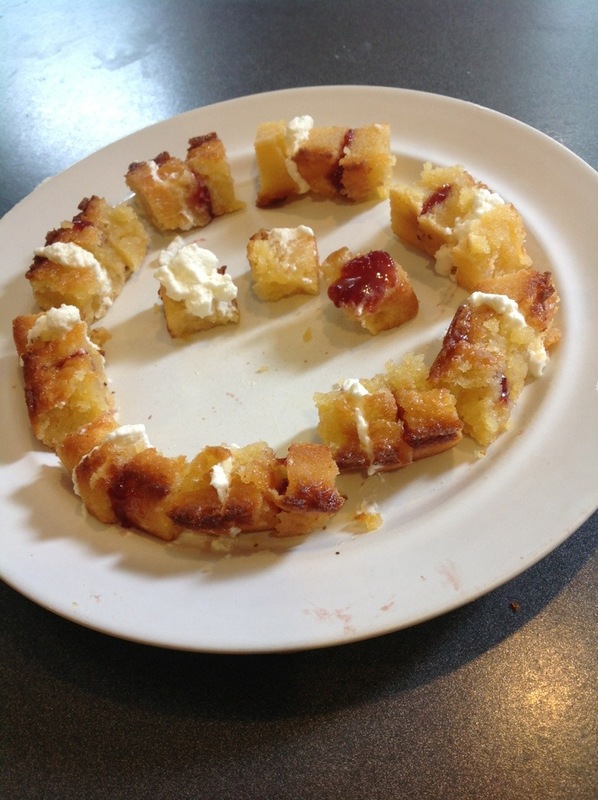 What I decided to do, was cut the cake into rectangles and cut those rectangles into thirds. 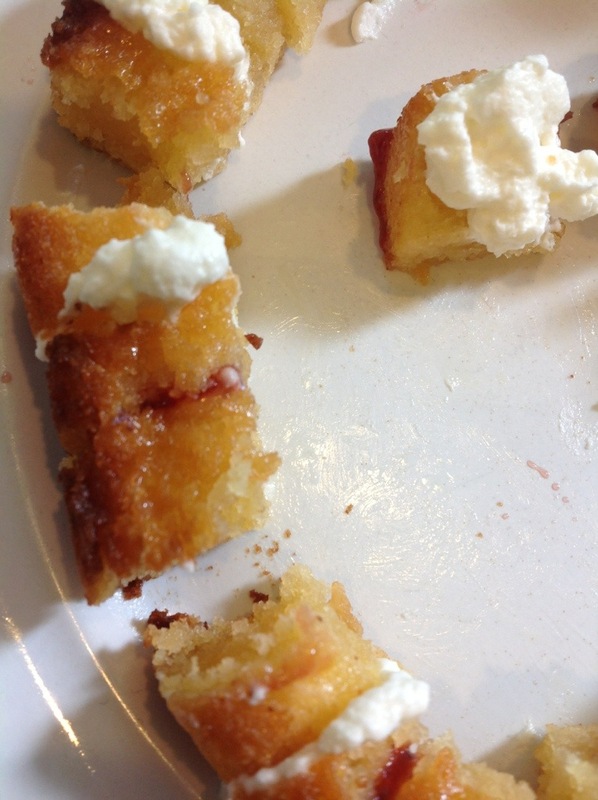 On one side of the rectangle, I put strawberry jam on and on the other side I put whipped cream on. 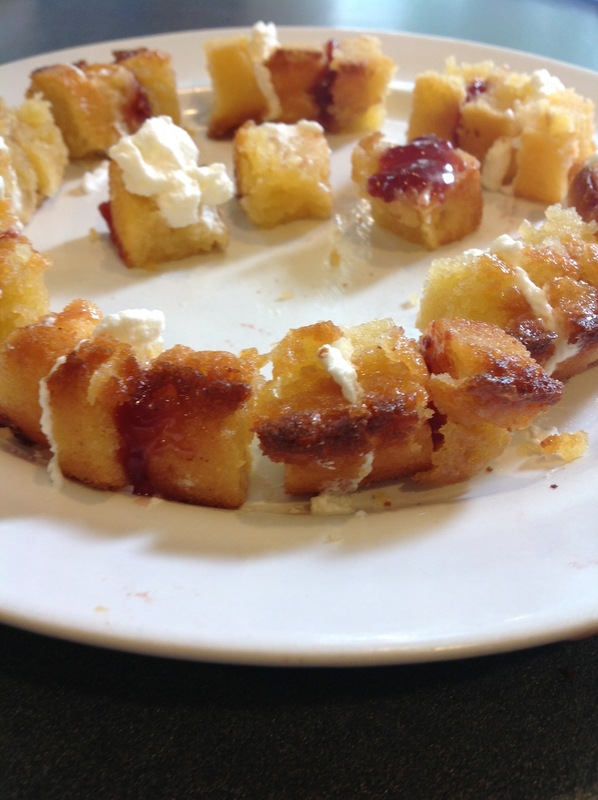 When I sandwiched them together, I was very pleased with the taste. The flavors went well together and the textures were great. That is why I reccomend this to you.